In his 11th episode, Florian Kohler talks about the best equipment to use on your pool table. 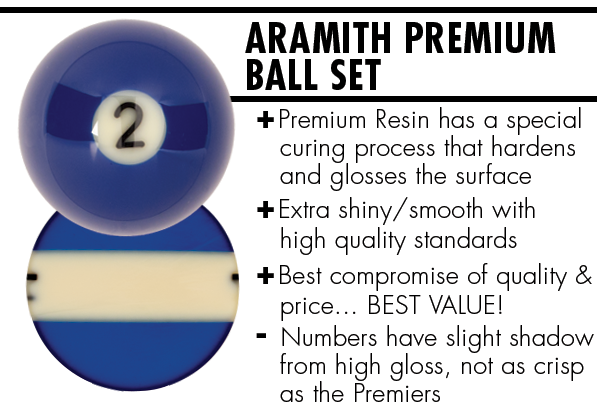 He compares Aramith pool ball sets to cheaper ball sets, and Simonis pool table cloth to the other felt options, showing us why those brands are often the best choice. It’s extremely important to know about the equipment you’re investing in. 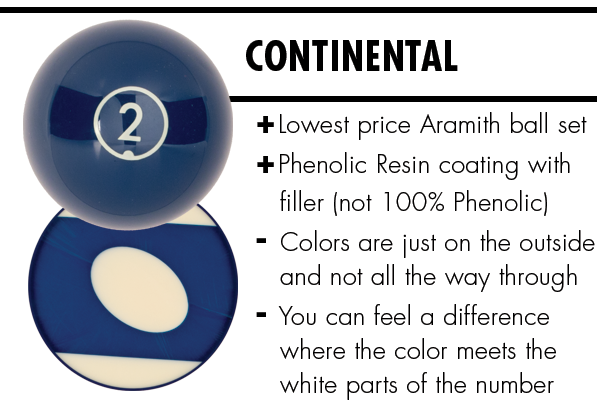 The quality of your pool balls is a significant factor in how well your table plays. That quality will also affect the longevity of your table cloth. 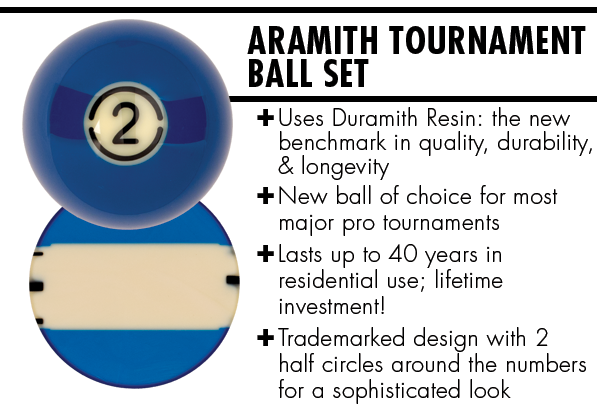 Knowing the differences between the various pool ball sets and felt options will allow you to choose the perfect set up to match your game, style, and budget. This article has the answers you're looking for. Watch the video and check out our graphics below to see the differences close up! Hi my name is Florian Kohler, also known as Venom. Here with me is Jamillette. Last episode we talked about cues, and what’s the proper cue for you to buy. So today we're going to talk about equipment, so the pool table, the pool balls, and of course the felt. Quick Disclosure: I'm sponsored by both Aramith and Simonis. Now, of course I know what you're going to say. "I'm not going to say anything bad about those brands." Well really there’s no farfetched to say, they're some of the best in the business. They've been in the industry for a very long time and have an outstanding reputation. Now of course there's a wide range of options, some really good brands out there. So I invite you to go check out Pooldawg.com to find something to match your budget, maybe better. I really hope you enjoy the video. So this is basically a cheap ball you know, plastic balls. I mean you can see it, it's pretty crappy quality, I'm going to say. It doesn't age very well, and it will chip very easy and will get damaged pretty easy. As you can see the inside, the number is basically a little bit in it. But it's mostly you know just, slightly put in there. You'll find some balls there even just painted on it, so the numbers will really fade through time. These are really, really inexpensive. But like I say, they don’t last very long. Here Florian talks about a more inexpensive pool ball option. You can really see the difference in the quality of production between the cheap and more epxensive billiard balls. 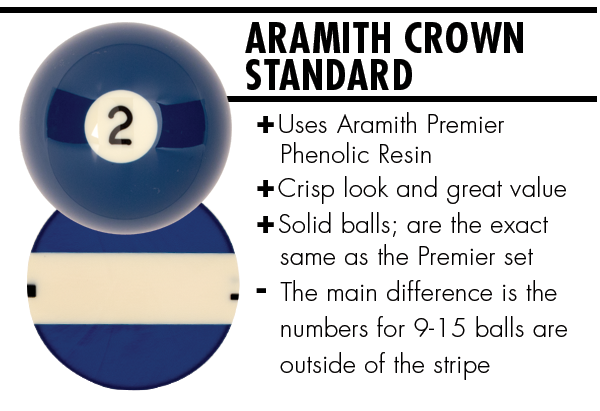 When you start playing a lot, you want to invest in a really good set of balls and here Aramith is basically the leader in that, there's not much question. They're made from Belgium, and it's usually made of Phenolic resin. It's a really hard material, and it doesn't degrade through the age and doesn't chip or doesn't break very easily. 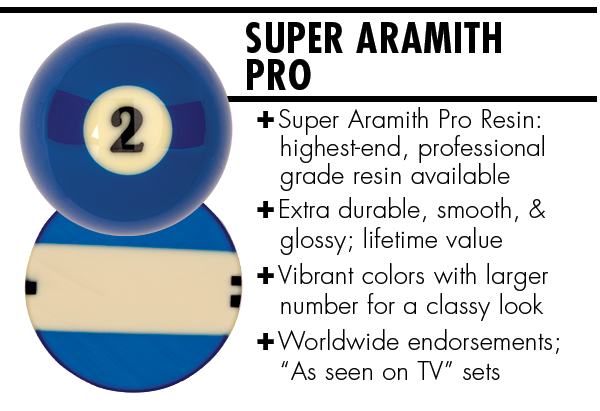 So this is a standard set for Aramith, also a cheap one. Now, you can see already the difference is the entire thing is white inside. So that means the whole part of the ball, the white, the number is part of the structure of the ball. So it makes the ball already more solid. 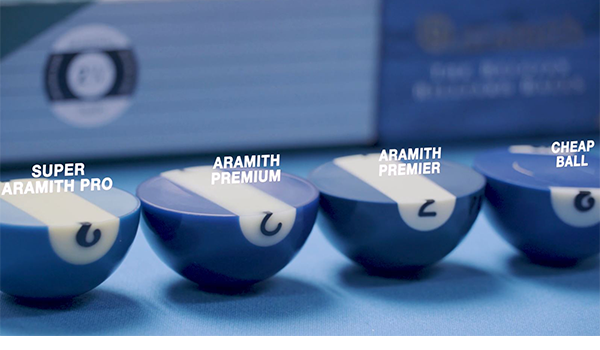 Now this is what we call the Aramith Premium set right here. So I'm not too sure exactly the price, but I invite you to look on Pooldawg.com to see which one you want. And this is how it looks in there. So now you can see again, you know, compared to the first ball you get the whole line. The numbers are really part of it, too. And the material is also more solid. It's very thin and very smooth. And it looks pretty good. And to finish, lastly, we have what we call the Super Aramith Set. Which is really expensive, it's a little bit more than $300. That's the balls that are right here. And this one's going to look like this. So again, you know the whole white part is part of the structure. You can see the numbers part is even bigger. The band here is even broader, so going to be even more solid. And really you know this thing is going to last forever. 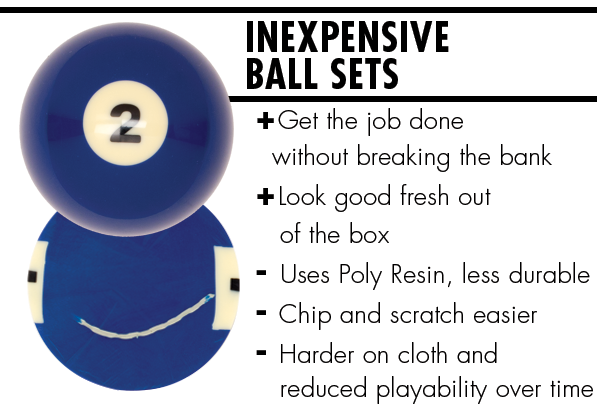 Scroll down to see our full list of pool ball specifications and differences. Not only the degree of Phenolic Resin inside the balls matter, but also the more you're going to go expensive, the more round the balls are going to be, the more the weights are going to be uniform, and the more everything is going to be basically matching to each ball, you know. 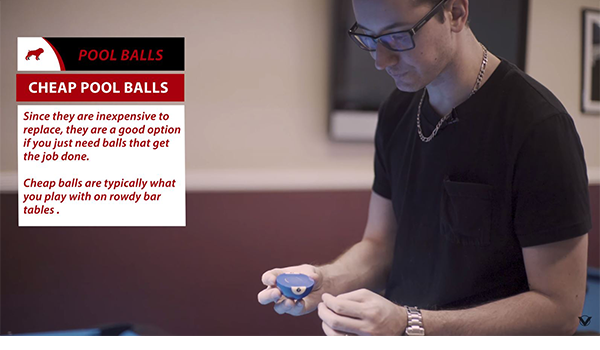 Like what Florian does in the video, we cut the 2-ball of some of our most popular ball sets in half to show you what they look like close up from the inside out. See for yourself the differences between each and how they could benefit your game. Alright, so now that we talked about balls, let's talk about another very important element of the pool table. The cloth. There are not too many questions here, if you want to buy something good quality you have to go for Simonis. It's basically the leading brand on the market right now. And the reason is simply because of quality. Now the big difference between, you know, a cheap felt and Simonis...you basically have to see for yourself. So, I've got two pieces here. You can see on the brown one, it's kind of rough. It's not entirely smooth. You can see some open spots in there where you can see the threads. Pictured is an example of inexpensive cloth. You can see that there isn't much of a difference from the bottom of the cloth to the top (which is what you'll be playing on). 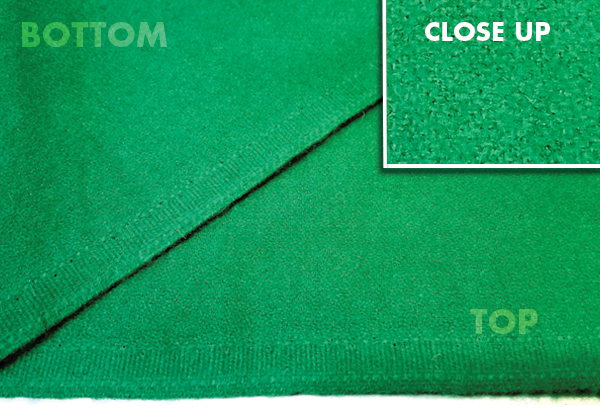 When you look closely at the zoomed in picture, the threads of the cloth are more fuzzy and not as tight. Meanwhile, this one is absolutely flawless. It's really shiny, and it's really thin. 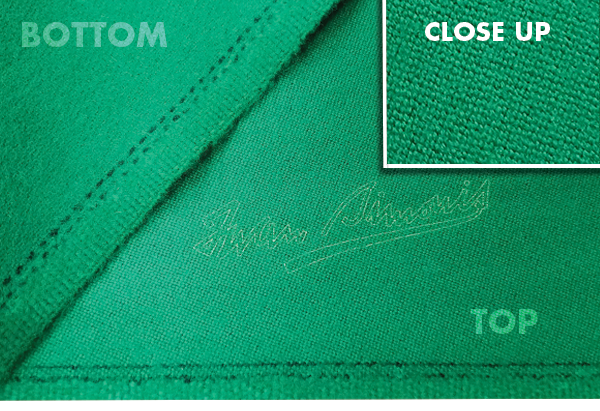 With this Simonis cloth, you can clearly tell the difference between the bottom and the top. The cloth threads are crisp and uniform; ideal for speed, playability, and durability. So from there, you know you have a really high quality felt here. That, you know, could get pretty expensive and you have this normal, kind of classic cheap felt. The main difference is simply quality and playability. So while this with all the attributes this thing has, it will last a long time, it won't wear and tear very easily. It won't fluff, It won't peel, and as soon as you hit the ball straight, it will stay straight. Now to the contrary, this, when it gets a little older it's going to start to fluff, start to peel. You can already see some little bumps here and basically what's going to happen is when you roll the ball slowly you're going to hit this spot, and it's going to take the ball left or right a little bit. The next part is it's going to leave a lot of white marks when you break, or when you do a high speed shot. Simply because you're going to compress the fibers and kind of burn it, and it's just going to look pretty bad after a while. You're going to pay a lot less for that obviously, but the main difference is this one is going to last you not too long, while this one can last you years if you take good care of it. I hope you guys enjoyed the video, and you can get some tips out of it. Again, if you want to see more tutorials click here, check my channel, subscribe if didn't already do it. And for all of your pool and billiard supplies go right here to Pooldawg.com, you'll find everything you need.